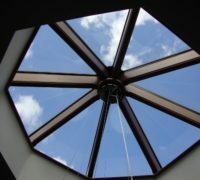 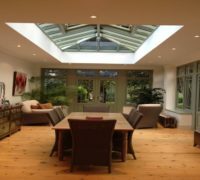 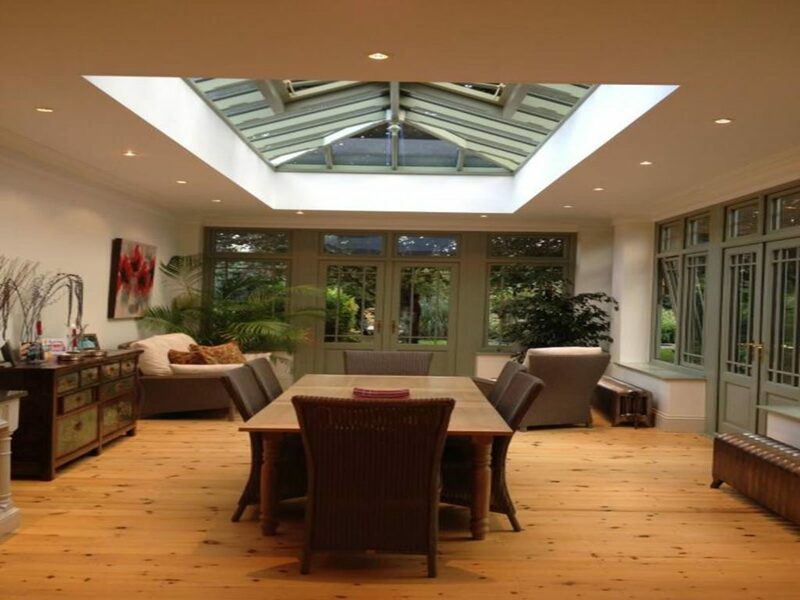 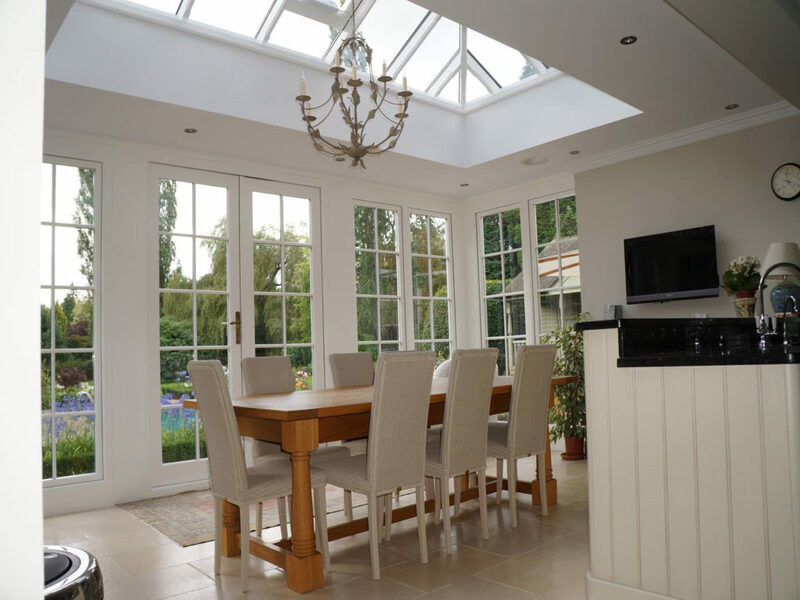 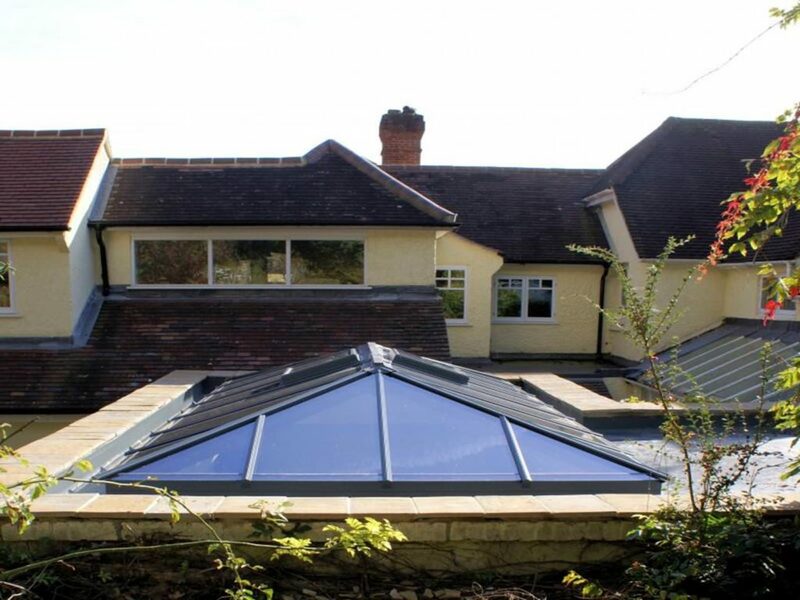 Our trade roof lanterns are very simple to install even for installers new to the roof lantern or timber markets. 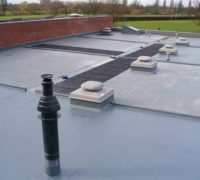 All the roof components either clip or slide together with pre-drilled/machined slots for locating all rafters and hips. 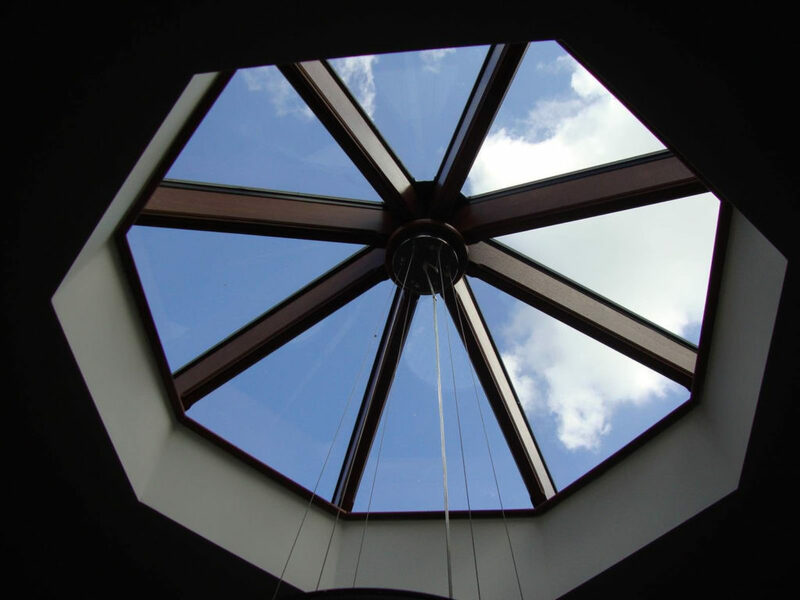 We also provide accurate and detailed instruction manuals for every roof. 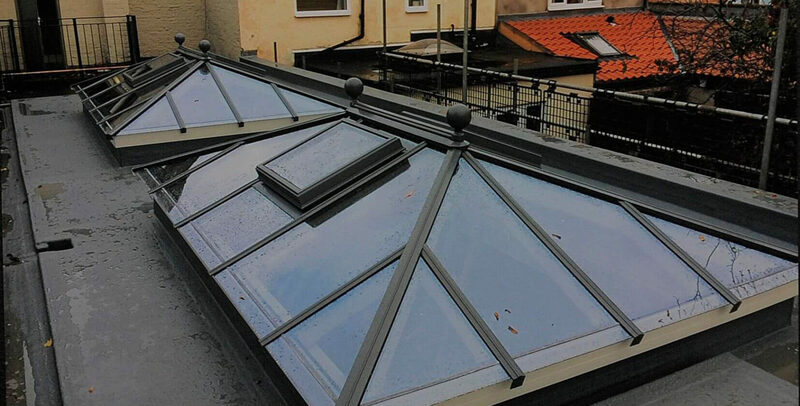 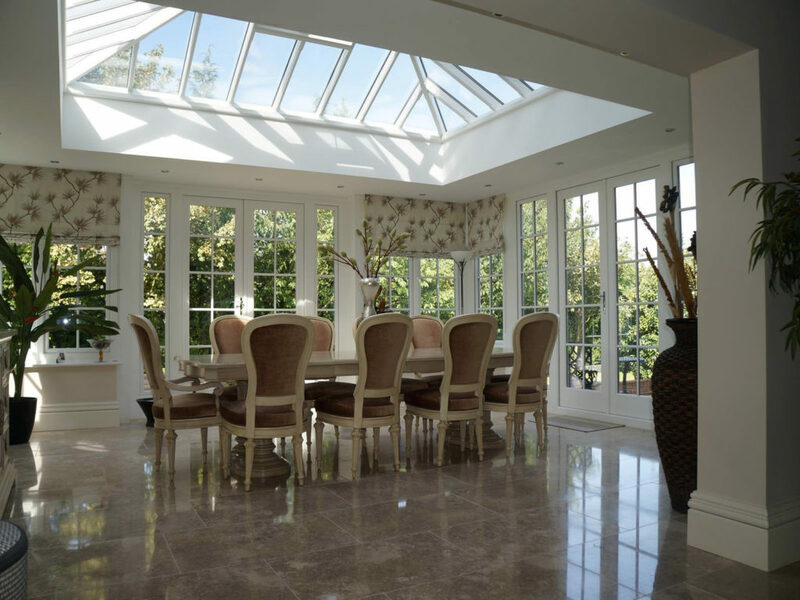 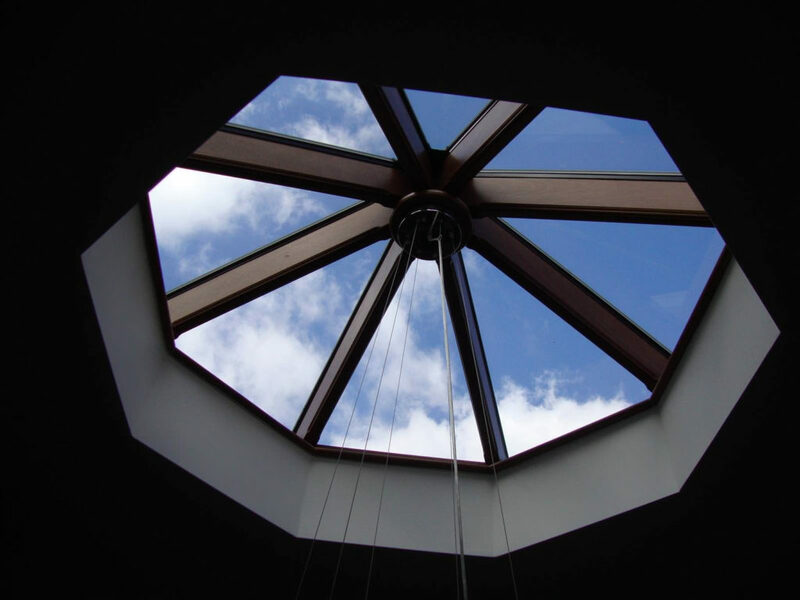 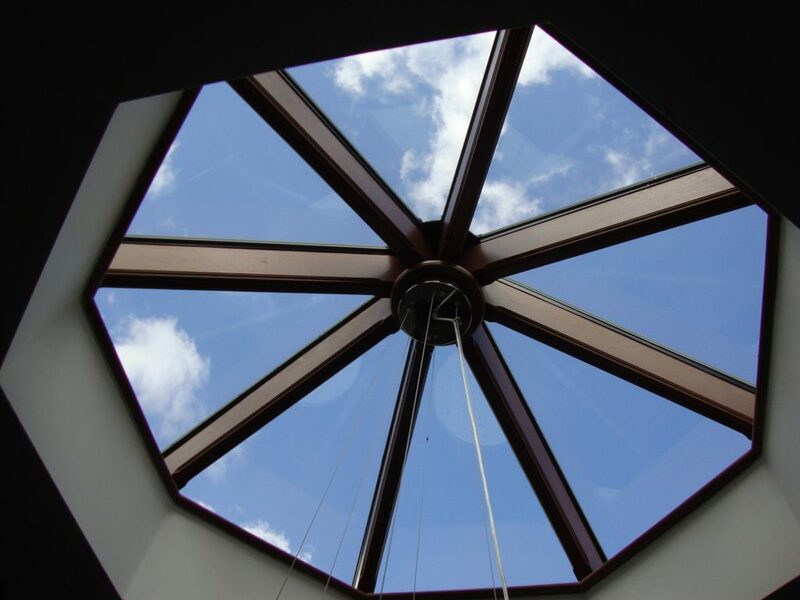 Each roof lantern is designed using a sophisticated 3D CAD package, producing a quality-assured roof lantern every time, no matter how complicated the design. 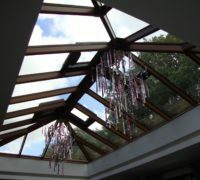 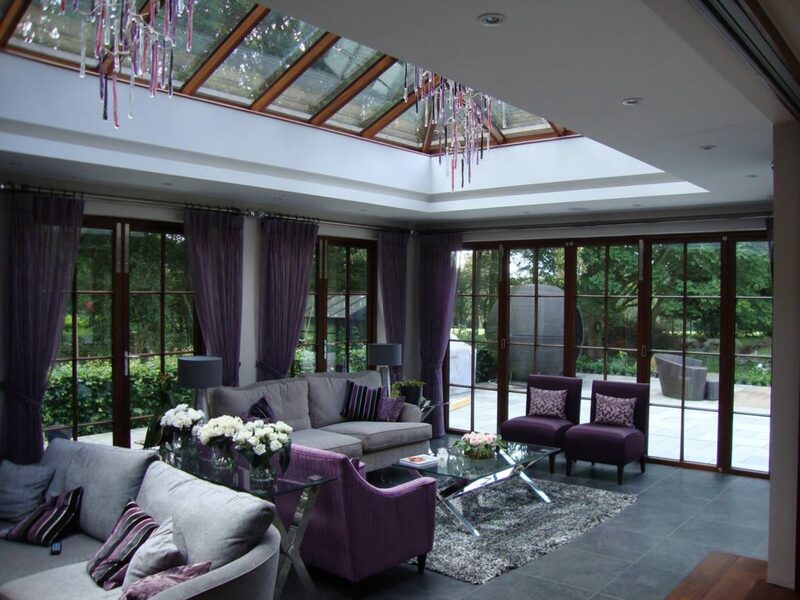 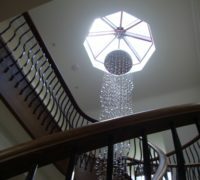 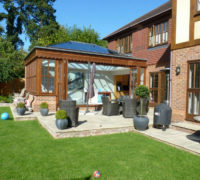 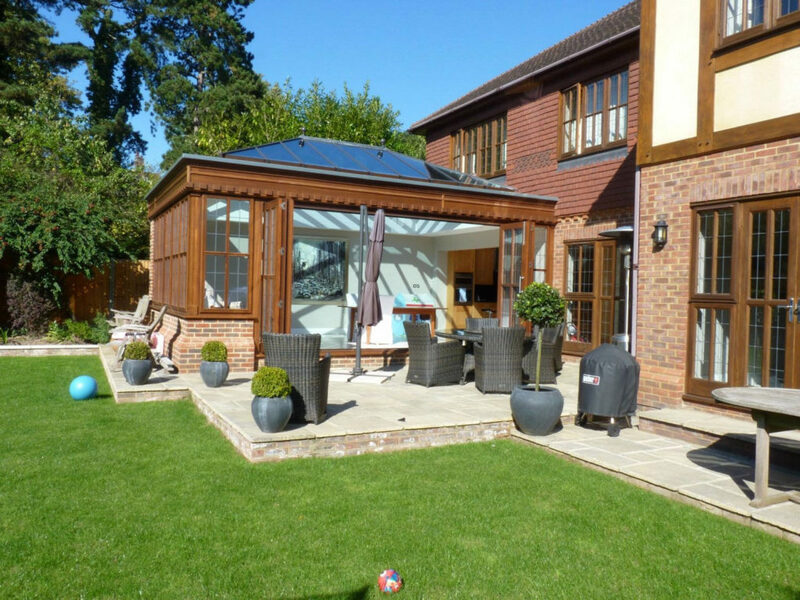 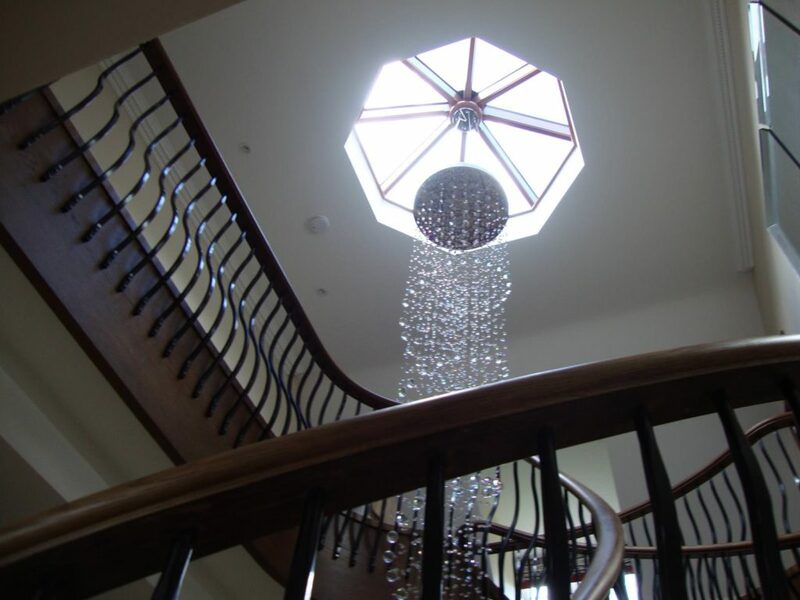 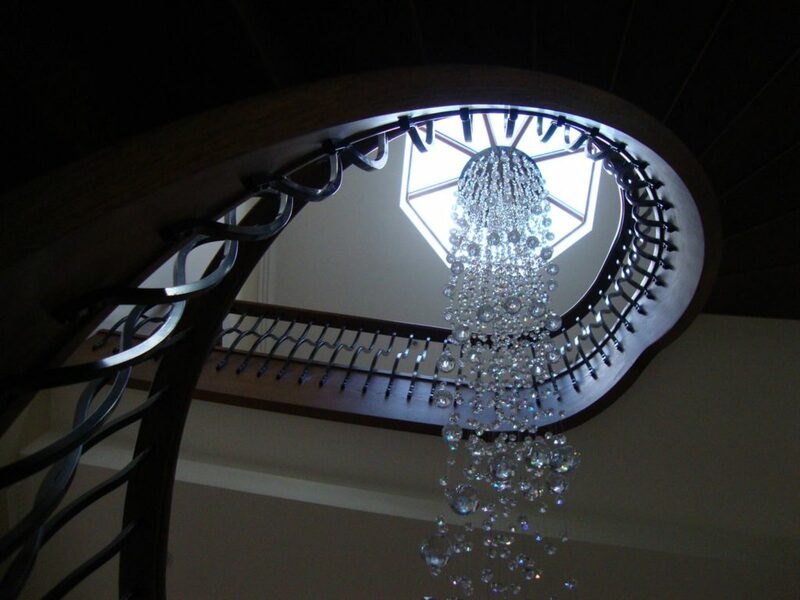 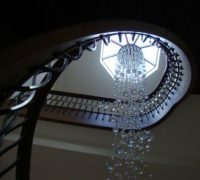 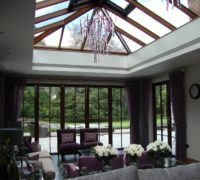 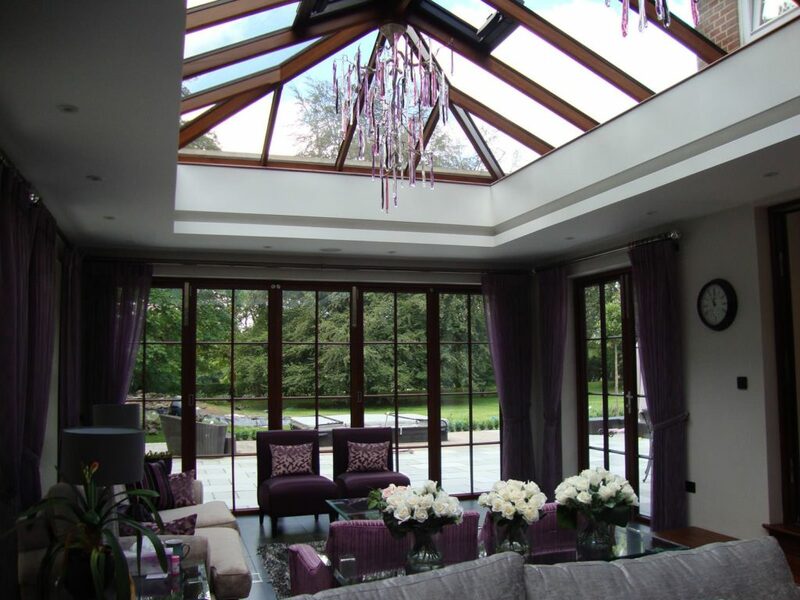 We can undertake all kinds of designs, whether you have gable-ended lanterns, unusual shapes, special details for installing lighting within the lantern structure, circular/curved designs and more. 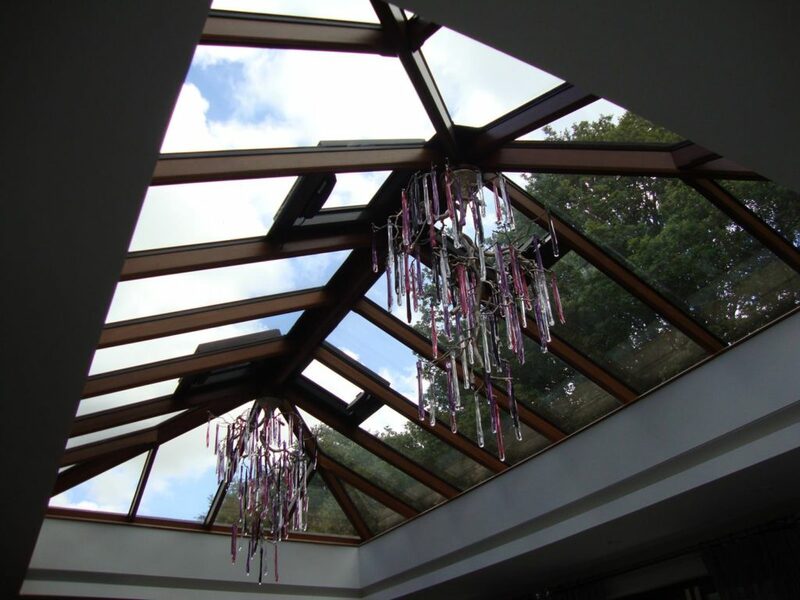 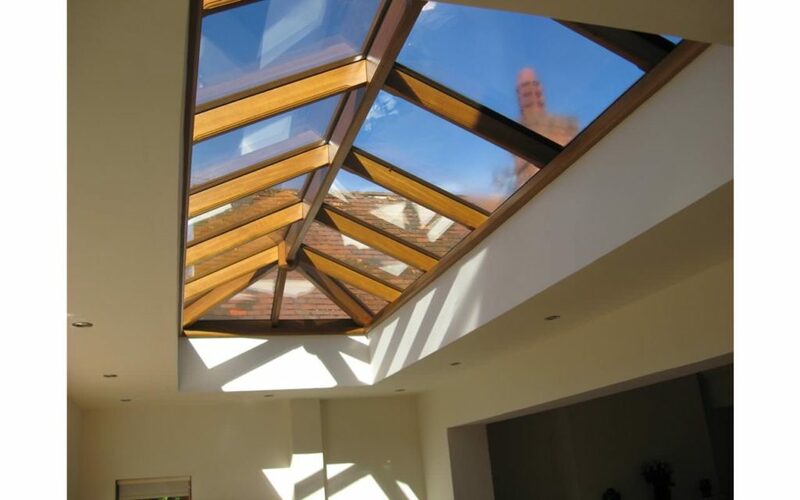 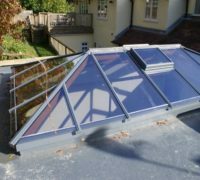 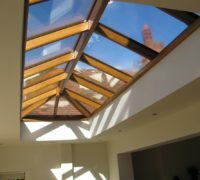 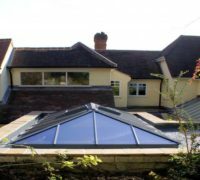 We can even provide a service for our smaller roof lanterns where we pre-erect the main carcass before delivery, minimising the work needed to install on site. 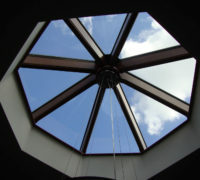 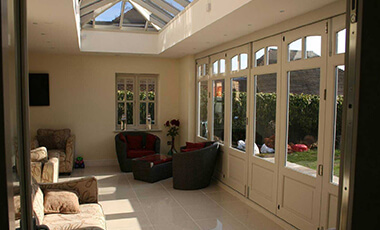 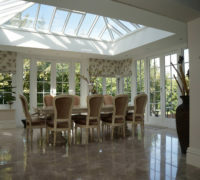 Painting to any colour, including different colours to the inside and outside of the lantern. 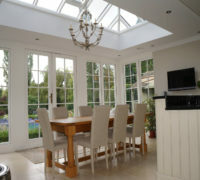 Choice of stop-mouldings, chamfers or plain timbers. 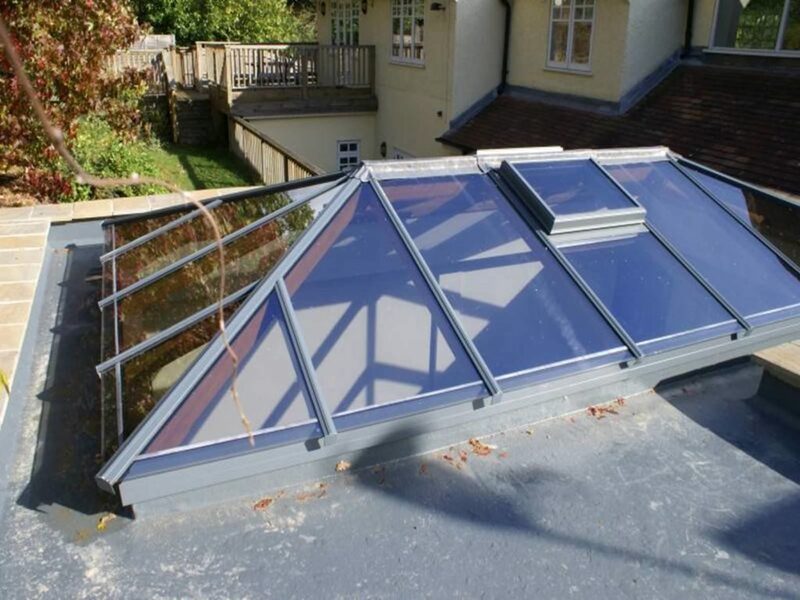 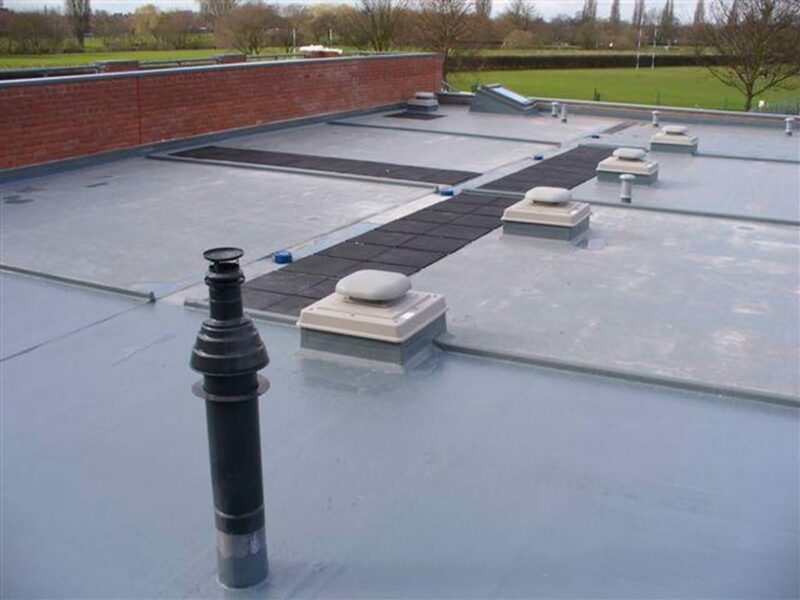 Aluminium powder-coated roof vents, available with manual, electric or automatic operation. 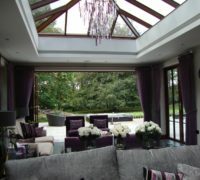 Concealed cabling details for vents and lighting. 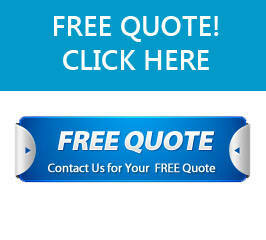 Please enquire if you have special requirements and we will be happy to assist you in ensuring that your client’s needs are met. 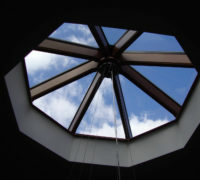 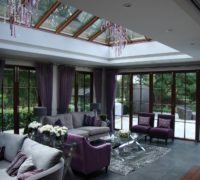 Below are just a handful of roof lanterns made in our joinery and supplied to installers / customers.